When you’re sick or injured, you probably don’t want to visit the ER or wait until your doctor fits you in. Your best bet is to schedule a same-day appointment at Somerset Family Medicine SFM. Dr. Neil Jaddou offers urgent care services in convenient locations at his Troy and Sterling Heights, Michigan, offices so you can start the recovery process. Contact the practice online with the booking form or over the phone for urgent care availability. If you need assistance for a medical concern that isn’t an emergency but can’t wait until the next available appointment, then you should head in to urgent care. Call 911 or head to the closest ER if you experience a major or traumatic injury or illness because an urgent care clinic isn’t equipped to handle those cases. 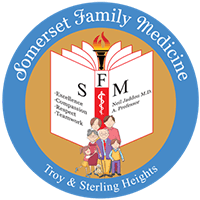 If you’re unsure whether or not you need to be seen by Dr. Jaddou, contact the knowledgeable staff at Somerset Family Medicine SFM for recommendations. What services are offered in urgent care? 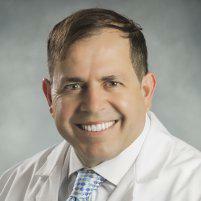 Dr. Jaddou offers same-day appointments for these urgent care needs. The practice tries to be accommodating with weekdays, very early morning before you go to work, and weekend appointments. Locating and visiting an unfamiliar urgent care practice when you’re not feeling good can be quite inconvenient and stressful. Being able to discuss your medical issues with a familiar doctor, on the other hand, makes the experience much more favorable. Many families feel assured knowing they can see their own doctor right away when an illness or injury strikes them. By offering urgent care services at his primary care practice, Dr. Jaddou can save you the expense and wait you’d have to endure in the emergency room. As your primary care provider, Dr. Jaddou already has your full medical history on file so he has a more comprehensive view of your health for those acute situations. He can also coordinate your follow-up care much easier when he’s involved in all touchpoints of your care. Urgent care services also help you manage your sick days. Dr. Jaddou helps you get back to work as quickly as possible and can provide the appropriate documentation for your employer. If you need a same-day appointment for urgent care services, contact Somerset Family Medicine SFM online or over the phone for availability.